Our show is exactly what the title implies--it's a show about "The Good Life." 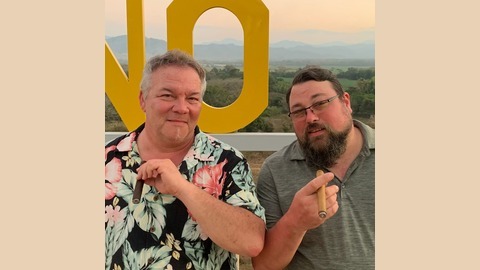 Every week on Smokin' & Toastin', Ian Barry and Cruze taste and talk about craft beers, distinctive distilled spirits and fine cigars. Ian and Cruze approach these classic diversions with the passion and curiosity of two semi-normal guys on an adventurous path of discovery and knowledge. And if that quest mandates that they must drink, eat, smoke and socialize, then so be it. EP. 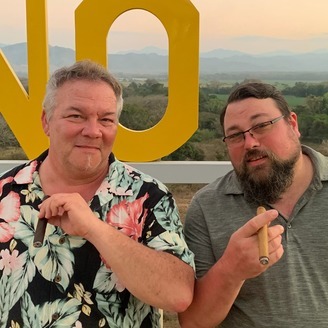 #135 "A Conversation With Matt Booth from Room 101 Cigars"
EP. #134 "Balcones Whiskey in The Studio, And The Best Craft Beer Cities In The World"
EP. #133 "Signature Cocktails at B&B Lemon"
EP. #132 "Live from Stogies With Guys Nobody Cares About"
EP. #131 "Texas Whiskey with Jake Clemens"